As I’ve been away Louis has been keeping a tally of all the missed playtime opportunities from his perspective. From my perspective I’m sure Louis sees me as a bipedal mobile toy anchor whose role is twofold. Firstly to replenish the kibble container and, secondly, to play with Louis only when it suits Louis and certainly not the other way around. 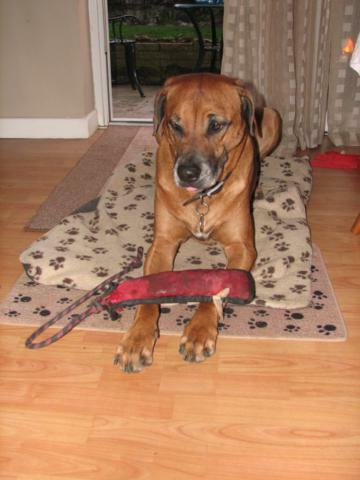 As I’m typing this he’s now fast asleep on his afternoon sofa – I wonder if he wants to play tug-of-war now? I’m back home after a couple of weeks working away in Yuseong, South Korea. Yuseong is a suburb of Daejeon and is famous for its hot springs; not that I got a chance to take a look or a dip as they had me working 7 days a week and around 14 hours a day. The food was good and the beer was cold. Whilst deciding what to drink in the lobby lounge I felt it was in the company’s interest to drink the cheapest thing on the menu. 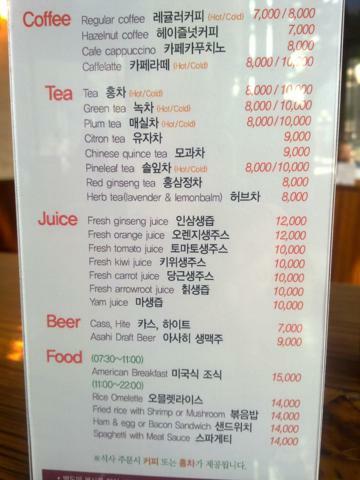 The cheapest things on the menu were 7,000 Korean Won. Coffee and beer. As I was having trouble sleeping I decided to stick with the beer in an attempt to save money. I’m good like that.